While I love the winter holidays, I will confess that Back to School is really my favorite time of the year. I love the stores full of school supplies—row upon row of pens in varying colors and sizes, bins of notebooks and planners waiting to be filled and paperclips, post-It notes, pushpins, markers, construction paper and glitter reeling me in with the promise of creative expression. I love the fresh, clean classroom, and the smell of newly waxed floors. I get excited spending my BEP money and ordering materials for the new, engaging lessons that I am anxious to try after a summer spent collaborating at professional conferences. But what really melts my butter is the idea that we get a fresh start. Every season has a gift. Kings bring cake, bunnies leave candy and elves fill stockings. Back to School energizes teachers and students alike with the renewed, rejuvenated feeling that anything is possible. On the first day of school we stand at the door and welcome our students into the magical world of language acquisition, ready to lead them down the path to proficiency, and we begin that very first moment to tap into the limitless potential this season offers. Education is one of the few jobs where we always get a second chance, a do-over, to be our best. I do not want to imply that what has gone before wasn’t good, but we all know there were lessons that fell short, students we failed to reach and language we failed to acquire. But as teachers, we get the chance to try again. Every new school year is a clean slate. We get the chance, envied by many, to go back to the beginning and take the journey again. We get to refine and refresh. They say that with much freedom comes much responsibility. Such is the case with second chances. They give us the freedom to break free of the past and look to form a better future. Thus,we have the responsibility to use them, to maximize them, to make them count. Just as we expect our students to perform better when we give them an opportunity to make-up an assignment, we must have the same expectation for ourselves. We have to realize the great privilege of the Back to School do-over and meet the challenge to make this year better than the last one. The do-over isn’t always easy. Easy is doing exactly the same thing we’ve done before. How many times have we seen our colleagues choose the easy way, dismissing their second chance, and staying mired in the “way it’s always been”? And then they wonder why nothing ever changes and they face the same frustrations year after year. As someone much wiser than me once said, doing the same thing and expecting a different outcome is the definition of insanity. And while we language teachers may have a reputation in our schools for being “crazy”, “eccentric”, “out -of –the-box” teachers, we are hardly insane. But are we wise enough to grasp the second chance before us and make a difference? The year behind may have been a tough one to overcome. The one ahead may seem overwhelming. We might have a new curriculum or new district mandates to implement. Maybe we’ve decided to re-work every lesson to model prime-time research. 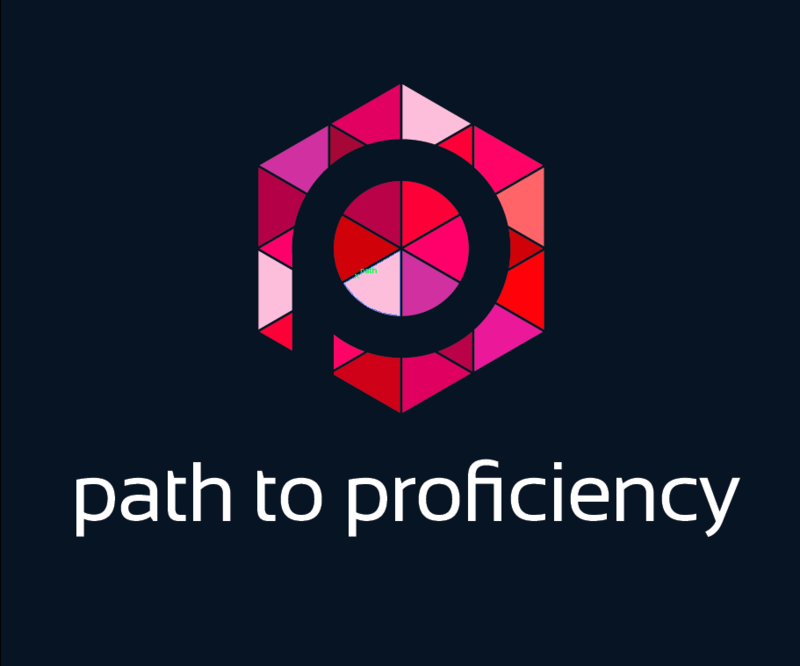 Perhaps we’ve hit a road block on our path to proficiency and have trouble paving the way forward. We might have a large class of students who don’t particularly want to learn another language, or an administration that doesn’t fully support our language programs. Whatever the challenge, we possess the skills to meet it. We have an arsenal of best practices, collaborative colleagues, current research, as well as our own love of language and teaching, to turn the challenge into an opportunity. They say hindsight is 20/20. How many times have we said to ourselves, “if I’d only known”? But as teachers we DO know. With all our years of teaching experience, we have the vision and clarity to see past the challenge. We’ve been down the road before, so we know the twists and turns that can derail the journey and we know where the potholes lurk, waiting to bump and jostle us out of our calm. Luckily, we have the experience and expertise to maneuver around any detours we may encounter. Each time we refine a lesson or rework a unit, each time we reach one more struggling student and convince one more administrator to invest in language, we understand the power of the second chance. Back to School abounds with the frenzied anticipation of a new and exciting academic year. So in the spirit of the season, my wish for all of us is the gift of second chances. I wish us all the courage to seize the possibilities of this new school year and the power to turn its challenges into opportunities. May the season inspire us all to make this year the best one yet!